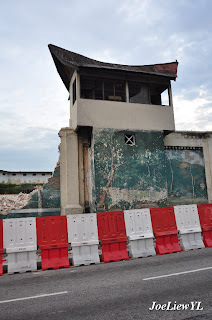 I arrived @ Pudu Jail / Prison demolition site on the 22nd June 2010 at approximately 1900 hours (A day after the initial prison wall demolition began) for some final photo shooting of the century old herritage before it gets demolished for ever. 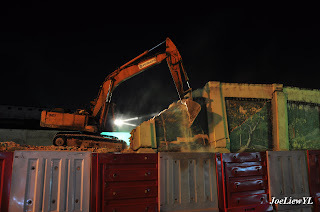 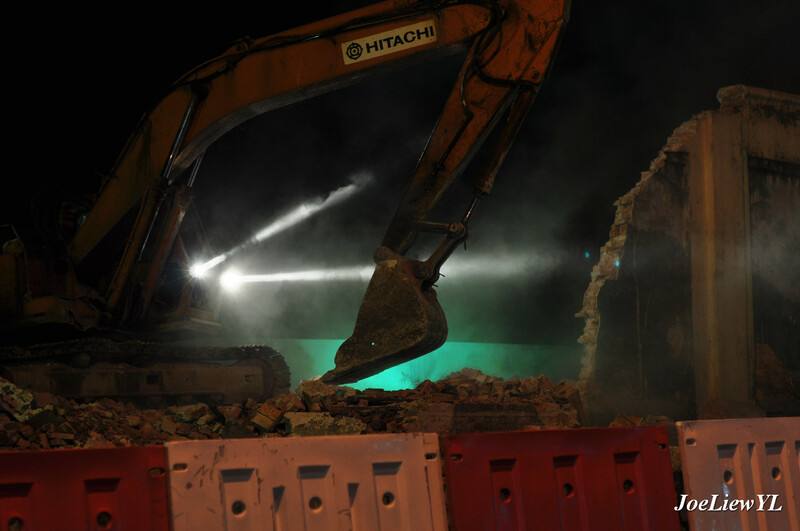 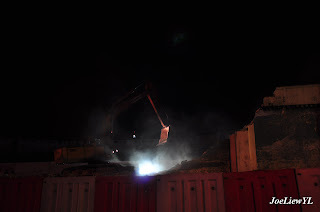 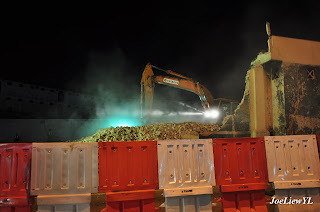 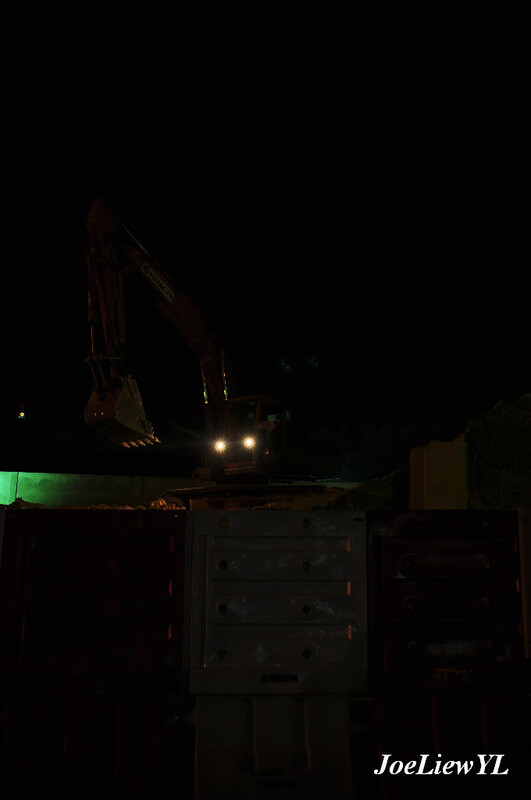 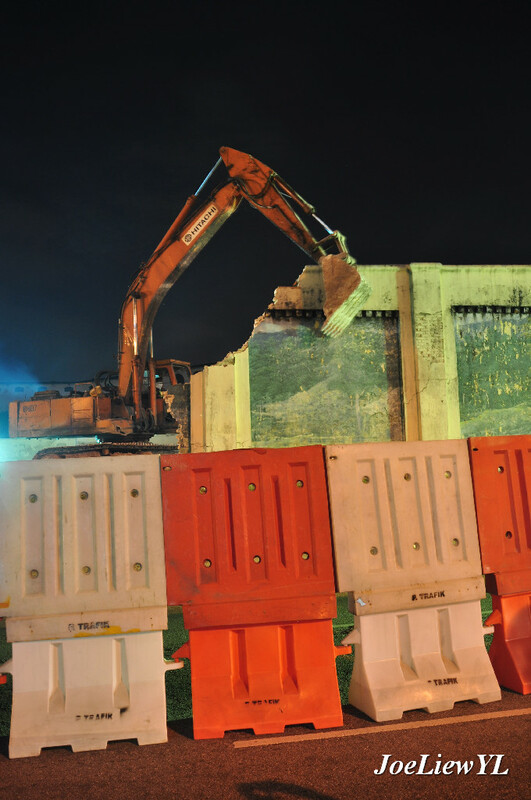 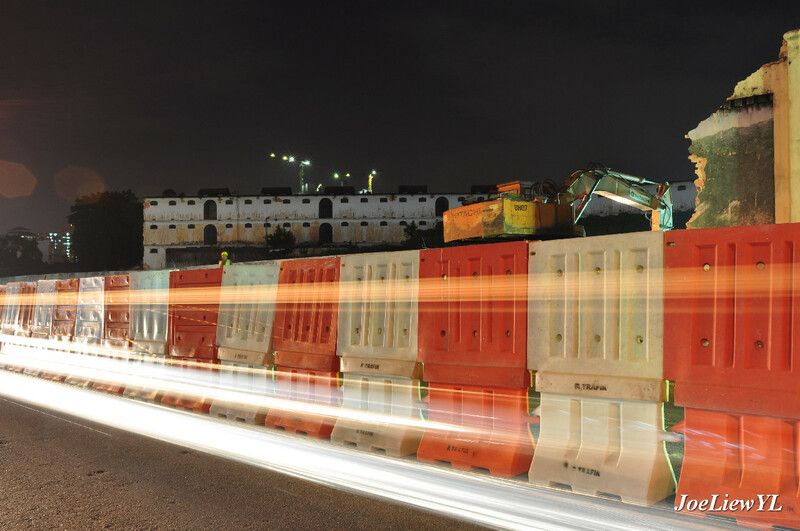 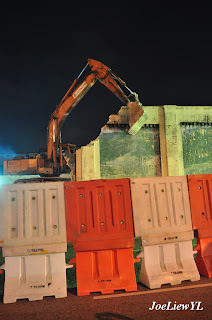 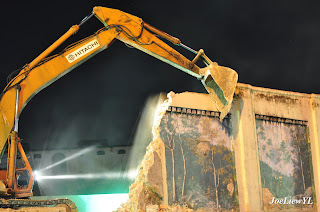 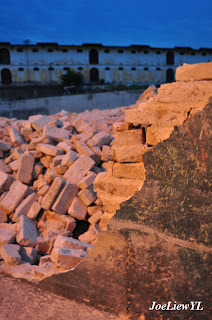 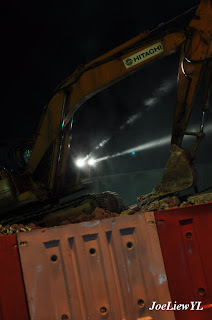 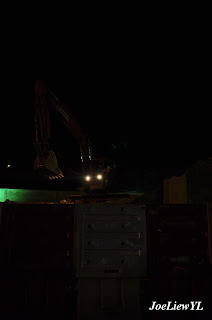 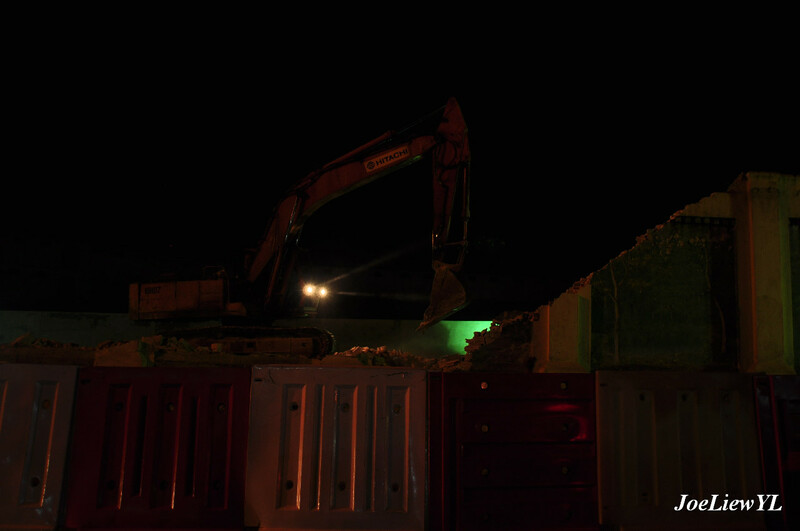 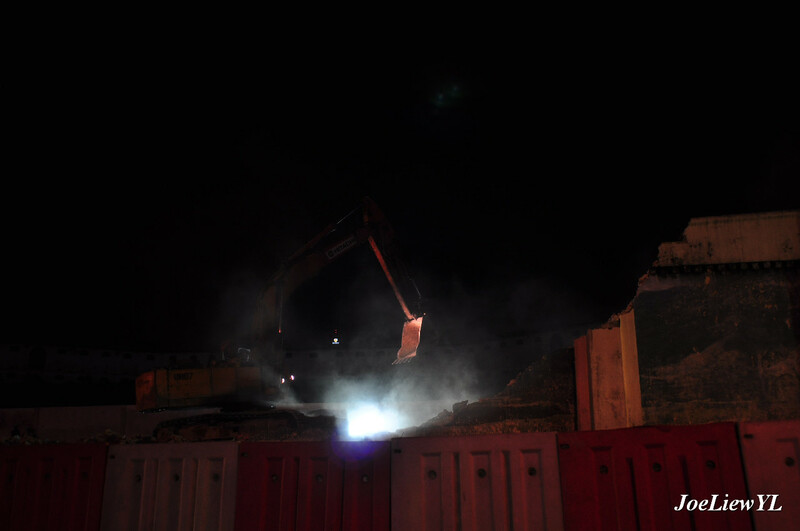 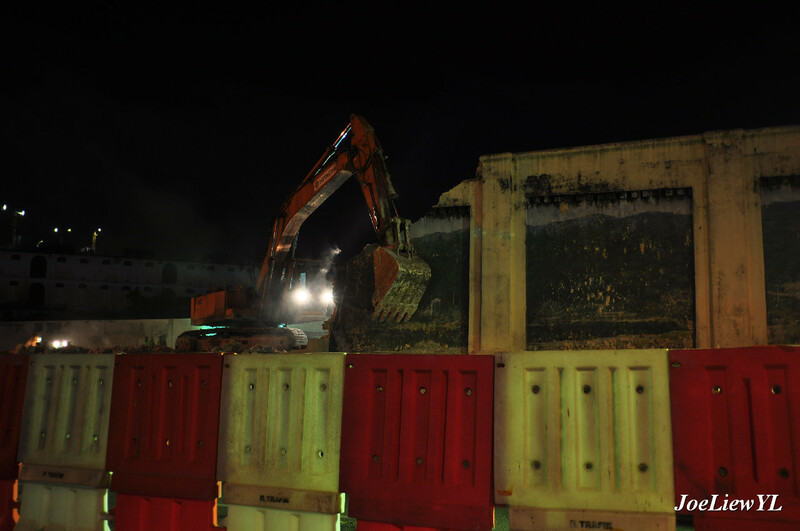 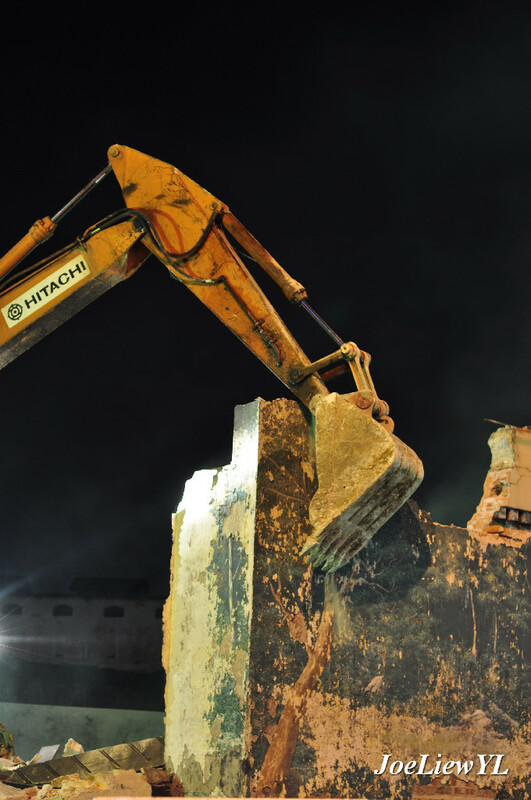 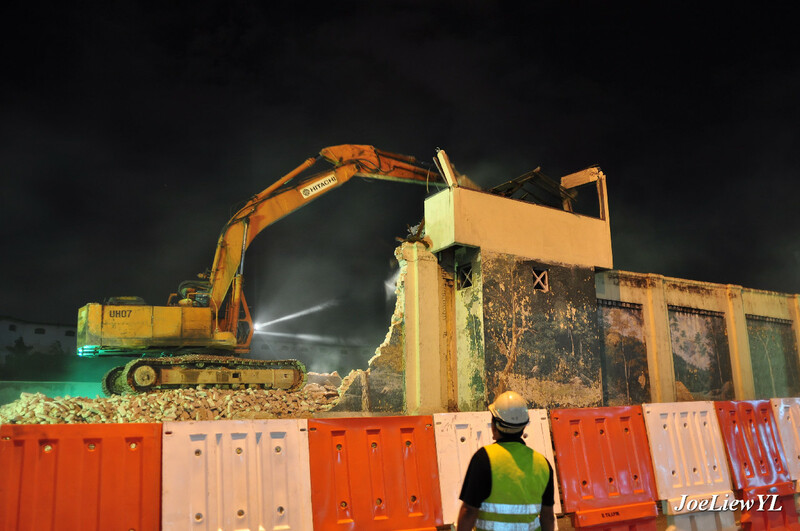 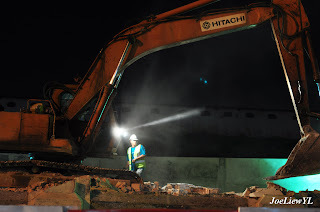 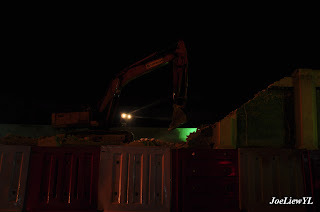 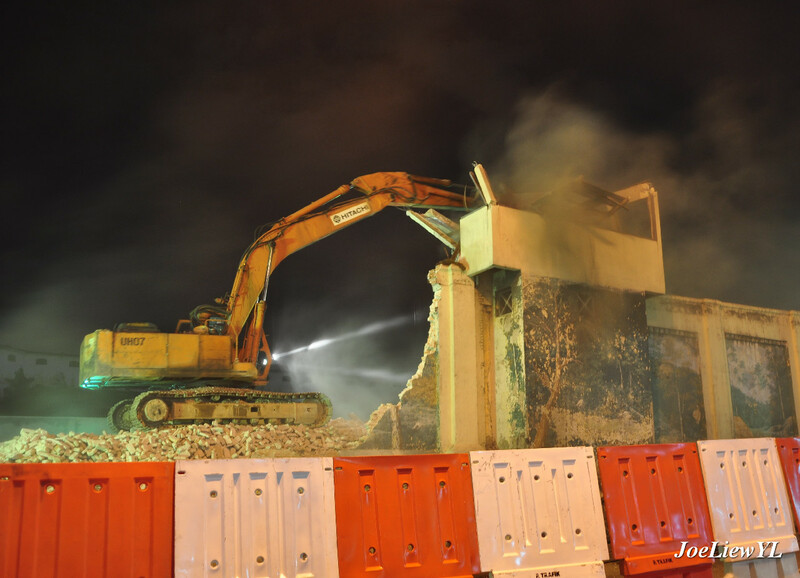 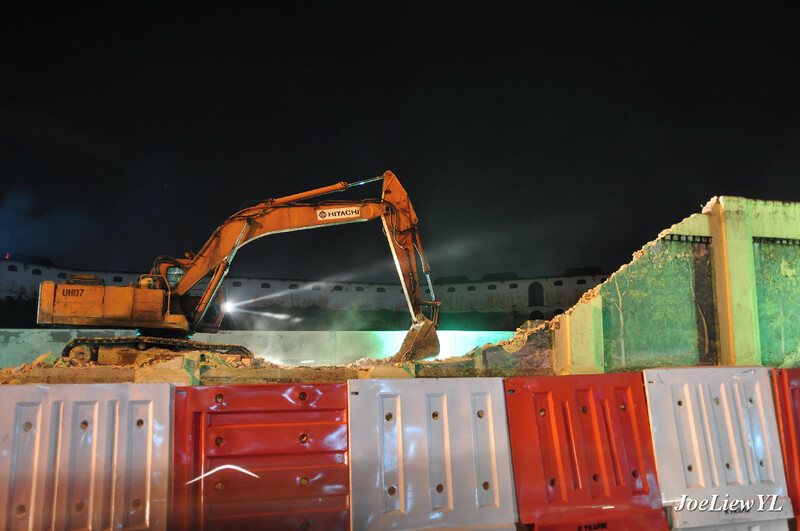 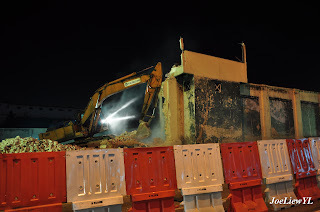 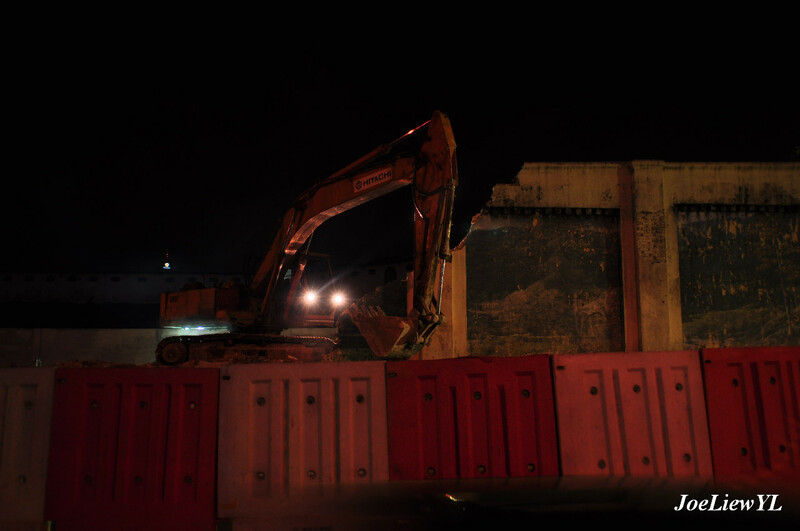 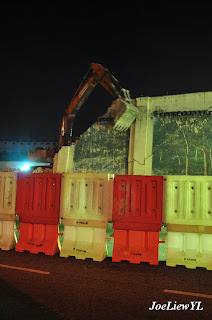 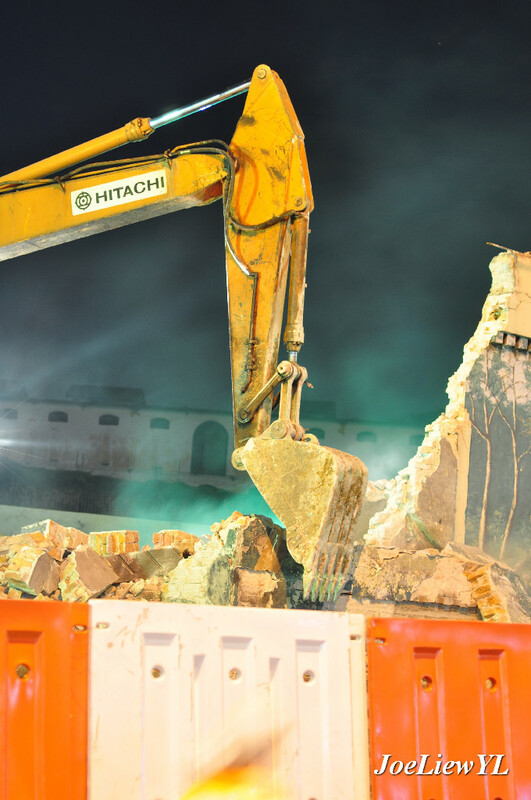 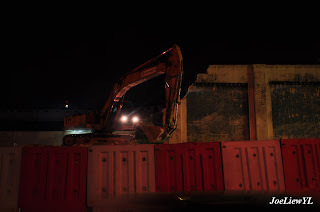 The demolition were took place in four different days that begins on 21st, 22nd, 23rd & 24th. 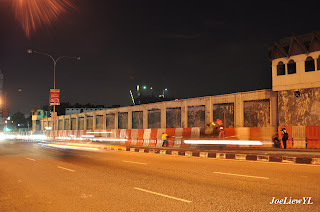 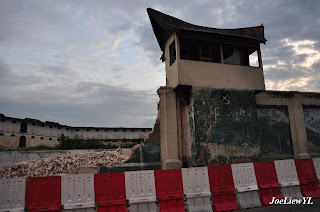 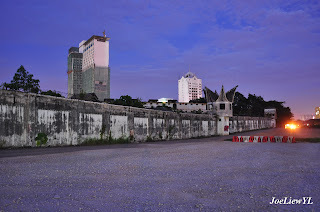 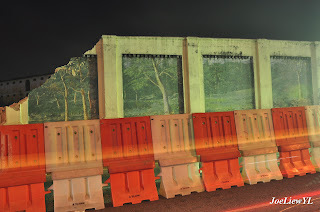 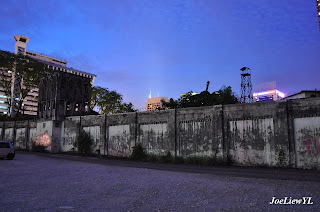 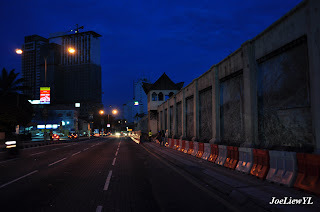 I started my photo shots with the jail wall & guard tower along Jalan Pudu and moved on to the main entrance of the jail; then I positioned myself to the jail wall on the right side of the main entrance for some quiet shots, finally back to the Jalan Pudu jail wall where the demolition began at 2200 hours. 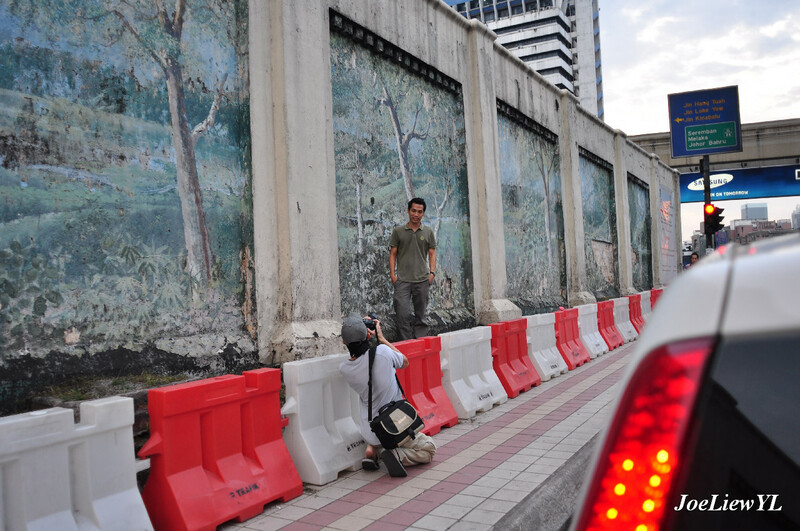 There were quite a number of visitors & photographers particularly on that day for a memorable visits before the jail's demolitions. 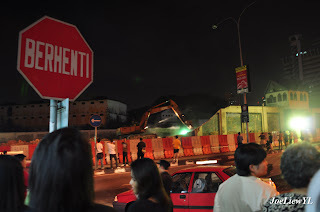 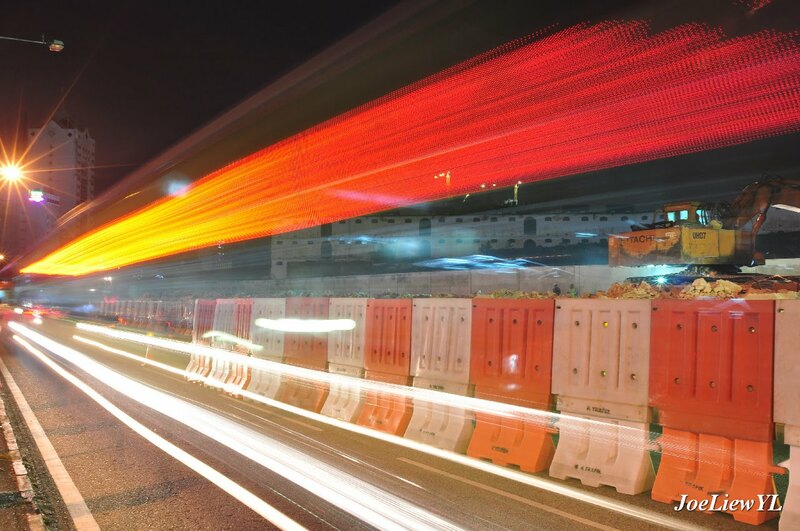 As the demolition was in progress, the traffics got jammed up; some stop for curious look, some stop for horning in protest of the demolition. 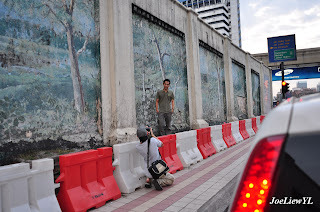 The side-walk and divider were all all packed with photographers & passerby who's looking for some souveniors (debris of wall bricks & wall painting skin). 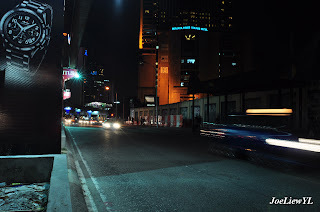 As for me I place my camera on my tripod and star shooting. 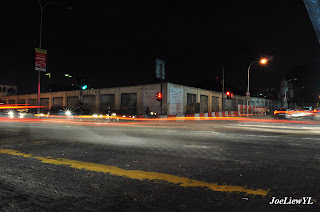 I was exhausted from the photo session due to my right ankle injury, was limping throughout the session; it took me quite a while to step on my gas pedal and start driving home. What a mixed feelings of sadness and exhaustion that our own nation's herritage was sacrificed for modernization! 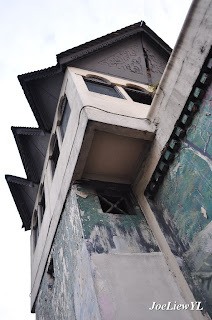 Pudu Prison also called Pudu Jail was build by the British in 1895 as a prison in Malaysia in Kuala Lumpur area. 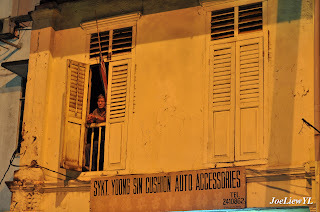 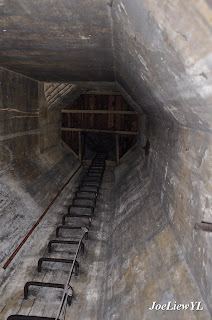 As such, it was used to house criminals including drug offenders and was a location for administering corporal punishment through rotan caning. 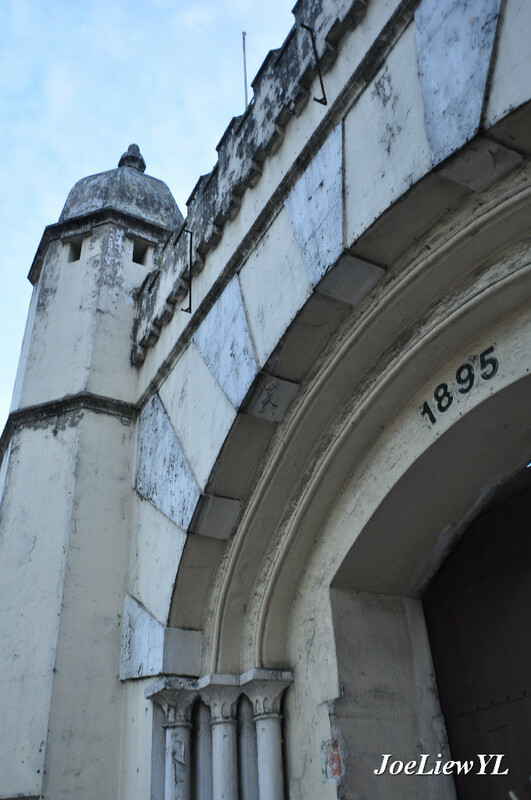 The colonial era prison was was officially closed in November 1996. 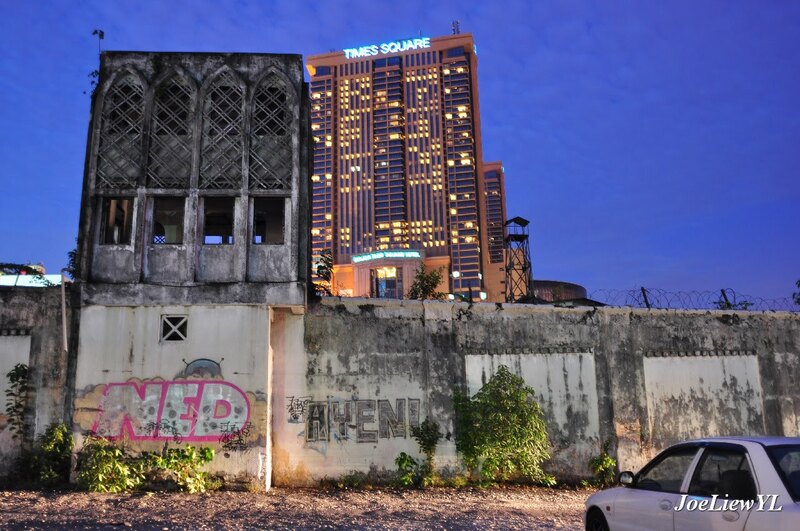 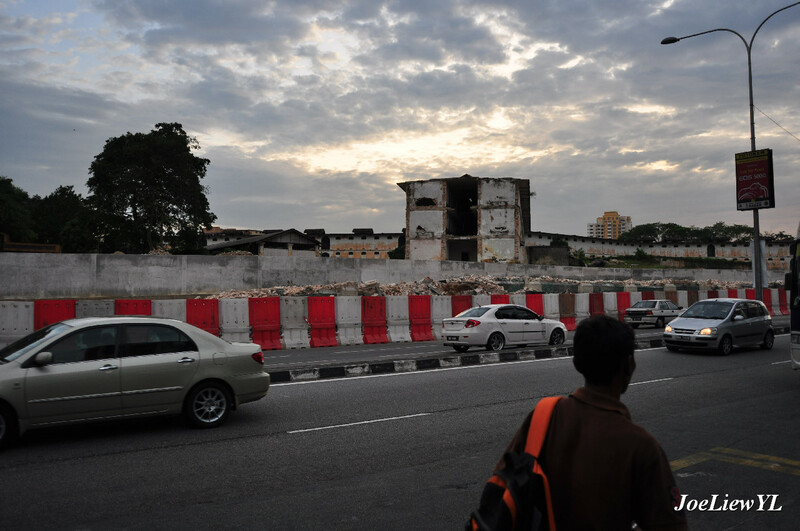 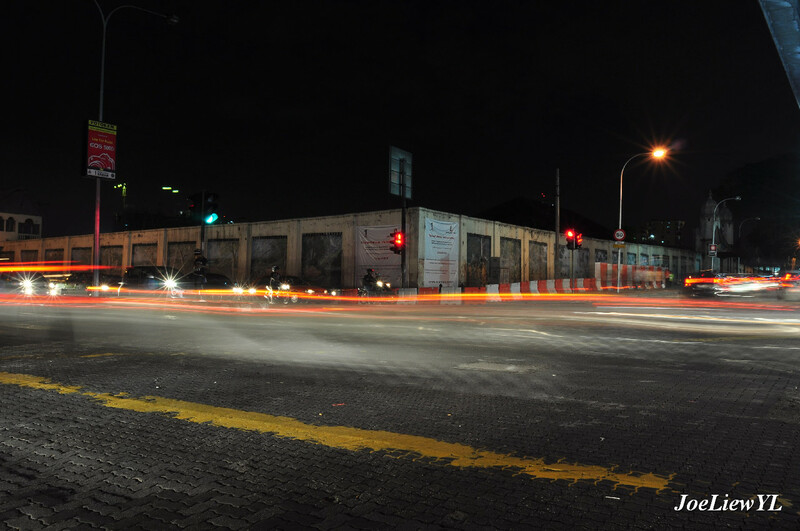 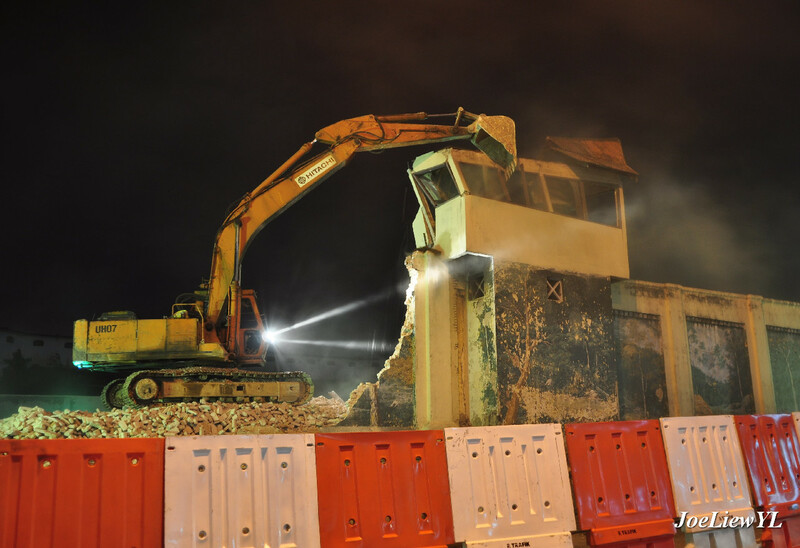 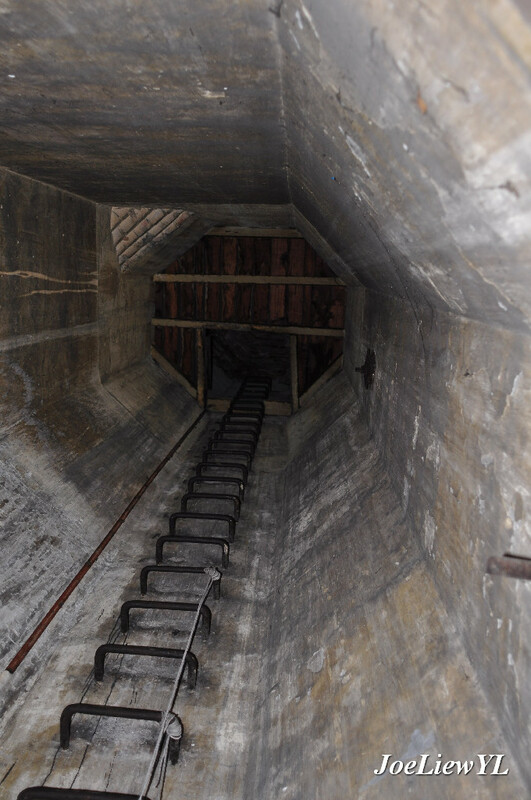 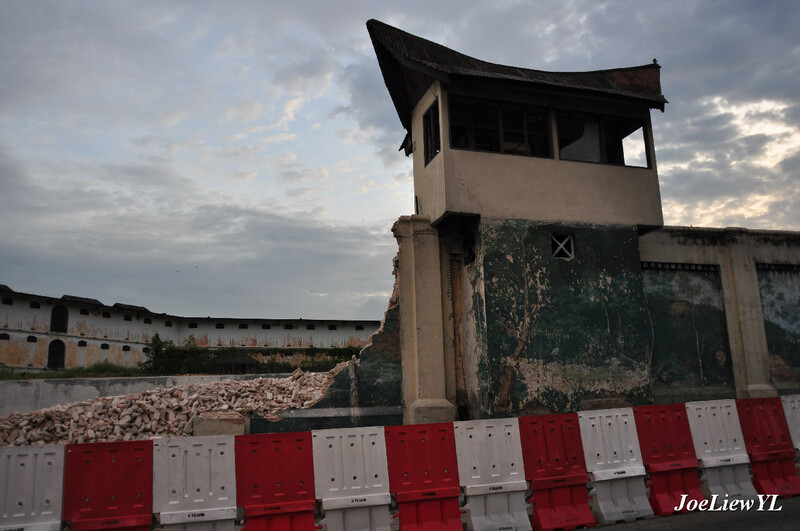 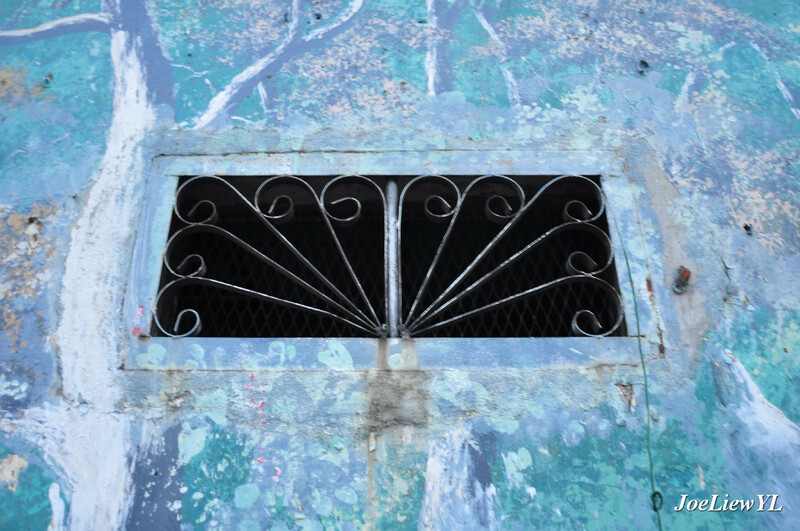 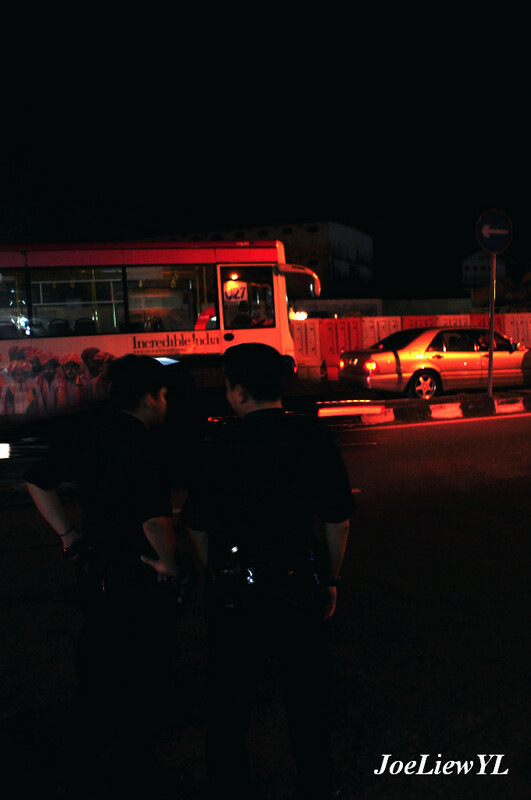 The old Pudu Prison has been identified as one of the major sites for mega development. 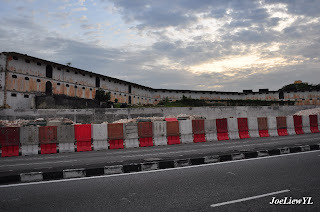 The land on which the prison structure stands has been earmarked for mixed development with 70% of the land will be used for a commercial hub and 30% for residential development. 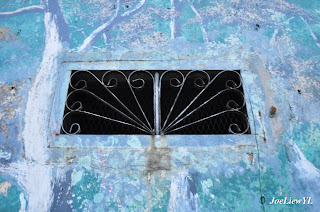 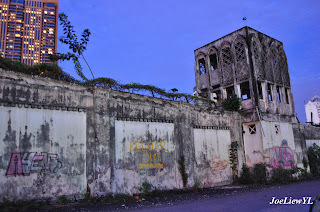 The old prison mosque will be maintained. 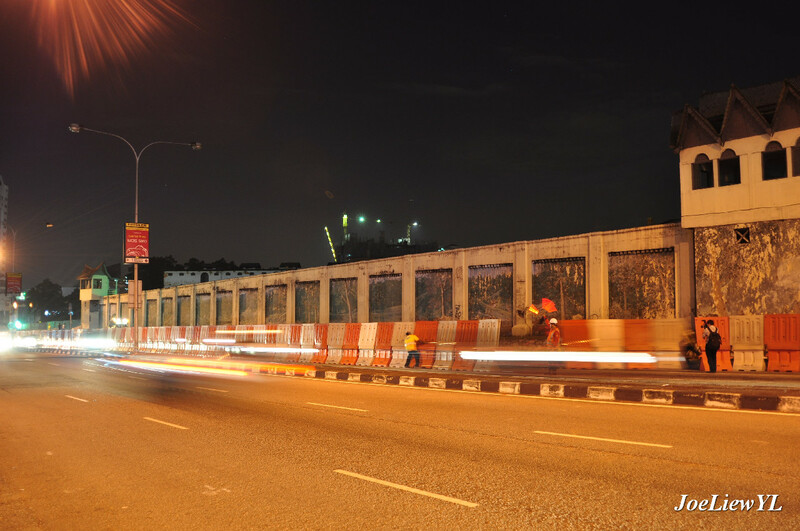 The Hang Tuah monorail station will also be integrated with the proposed development site to create easy accessibility for the public. The construction of the prison began in 1891 and was completed in 1895. 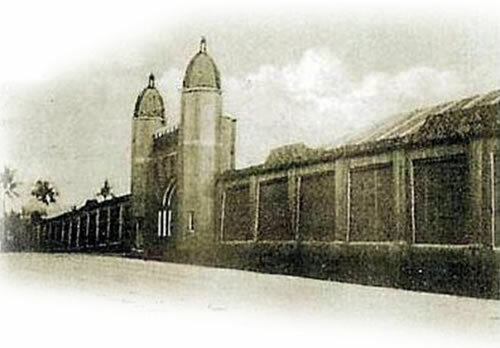 The prison served its purpose for a century until it was finally shut down in November 1st 1996. 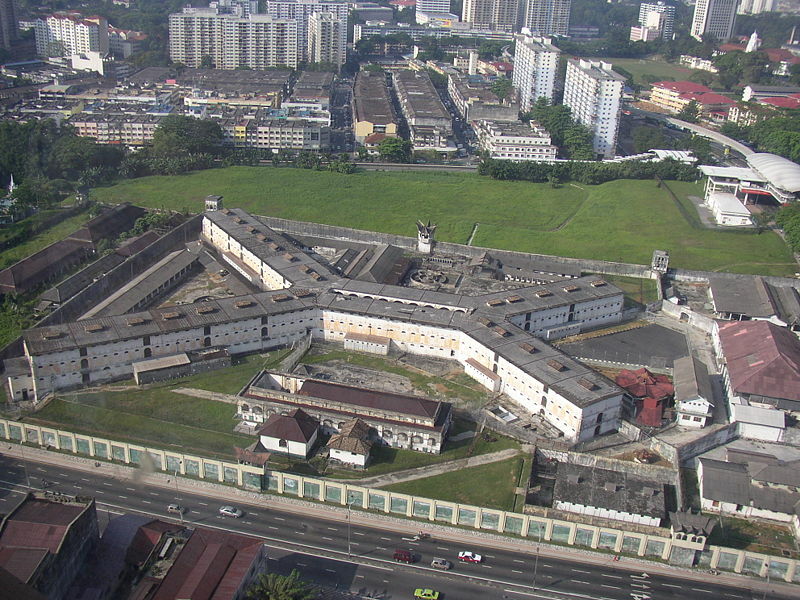 The Pudu Prison is open to the public. 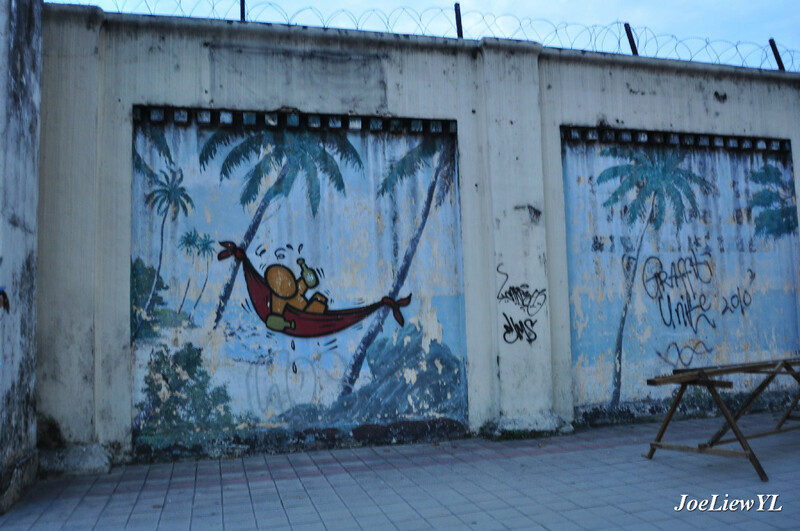 There's a little museum and you can catch a glimpse of what it was like living behind bars. The prison was closed for several years following the 1986 execution of Kevin Barlow and Brian Chambers, both Australian nationals, for the drug trafficking of heroin. 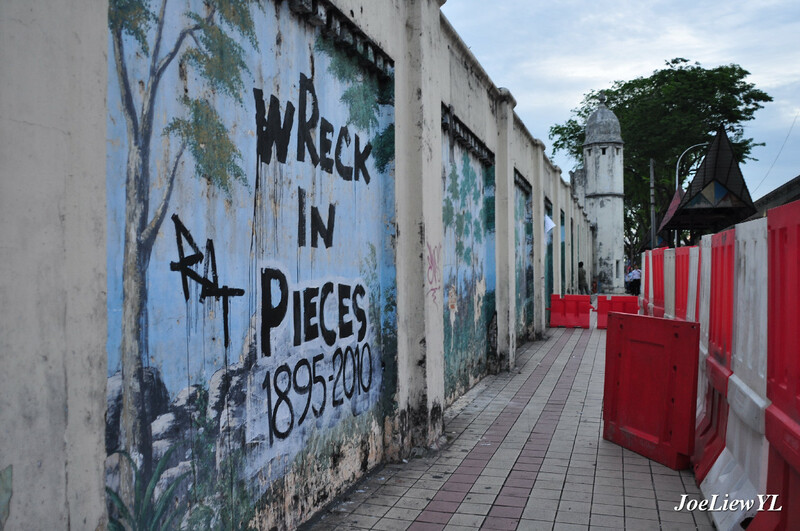 It was reopened in early 2004 for a short time as a museum. 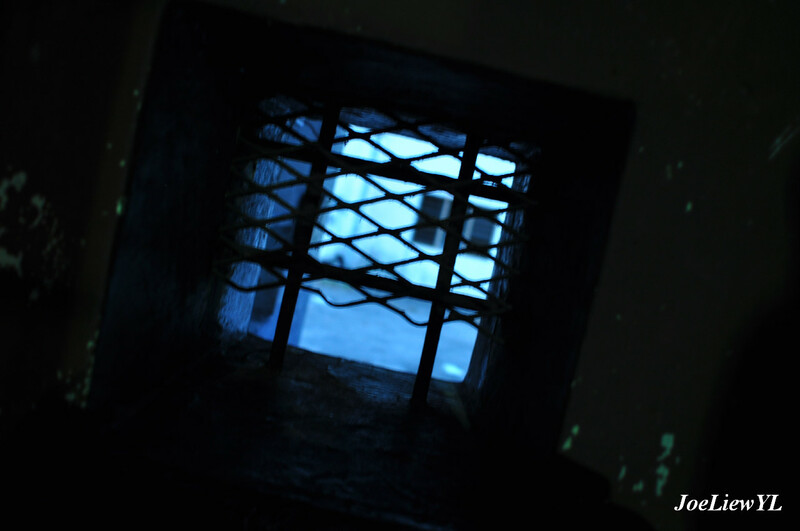 The cells were horrific, each equipped with a window only the size of a shoebox. 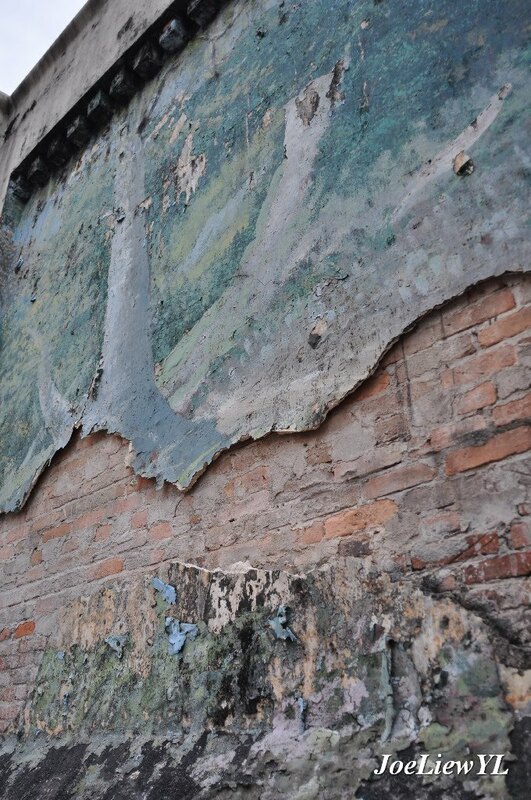 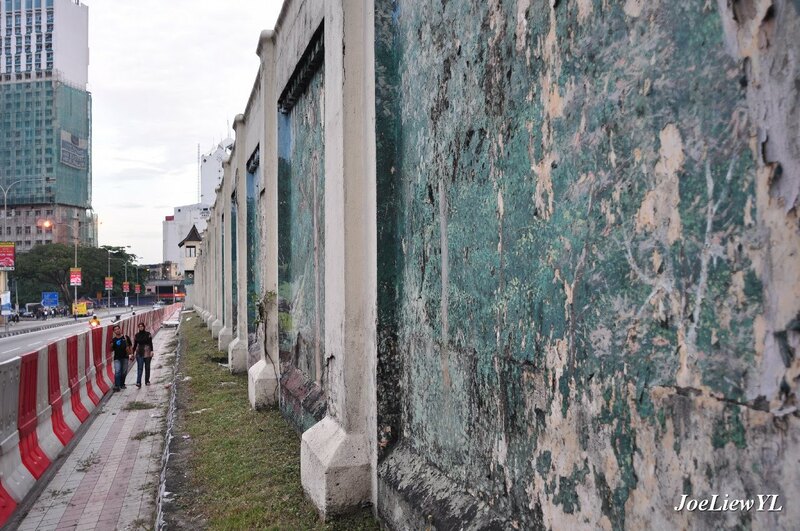 Ironically, the prison also features murals painted on the walls circling the compound, depicting scenes of nature. 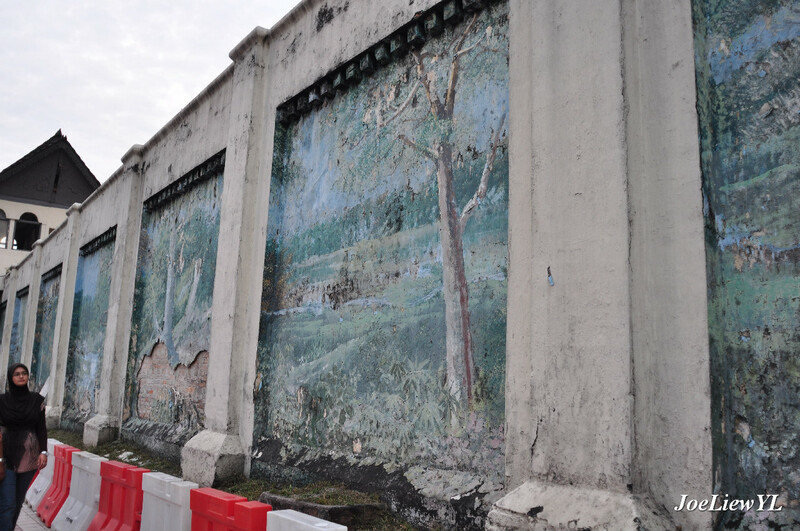 These murals were painted by the prisoners who used over 2,000 litres of paint to accomplish the task. 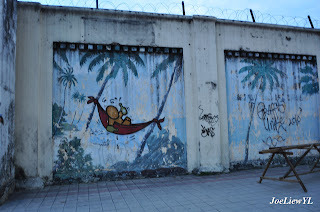 There are very few sentient beings depicted in the murals, though. It is no longer used as a prison and while it was once open as a museum, it is currently a police station and can be viewed only from the outside. 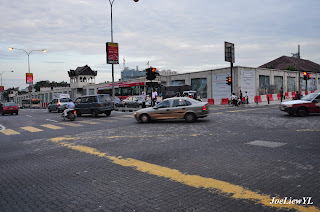 (A clear view is obtained from the monorail train between Imbi and Hang Tuah stations.) 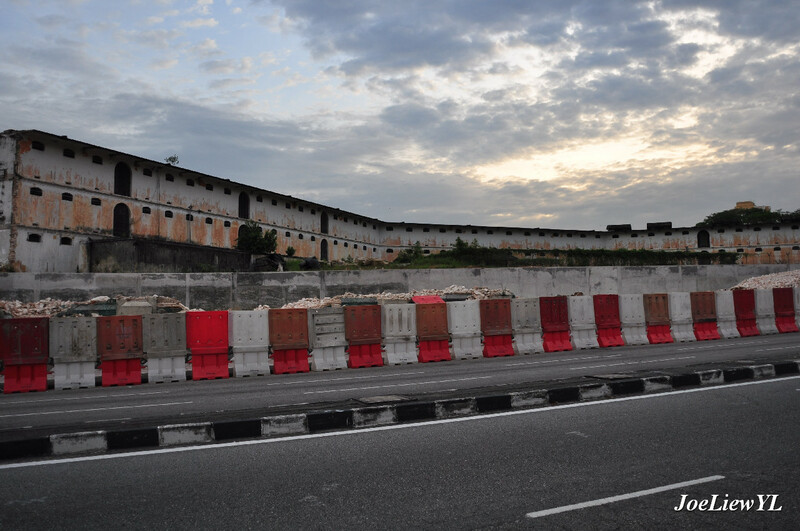 Currently, it serves as a day-holding facility for prisoners attending court hearings. 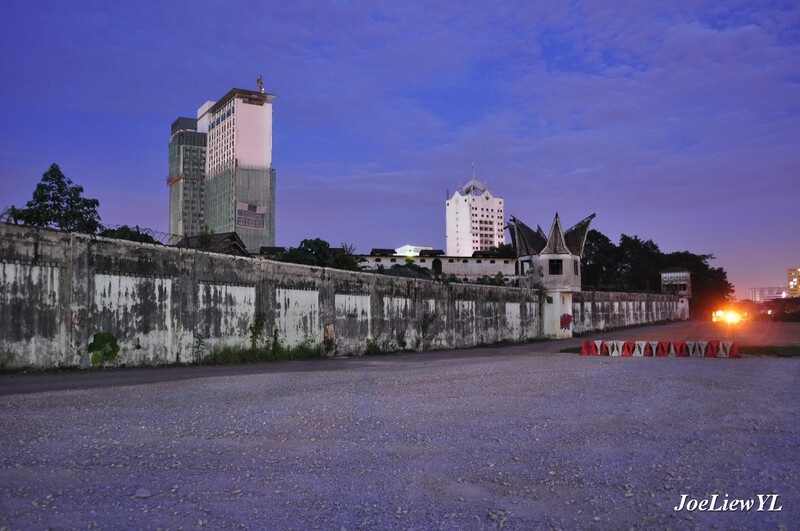 It is proposed to build a low security prison on the site for drug abusers in the future. 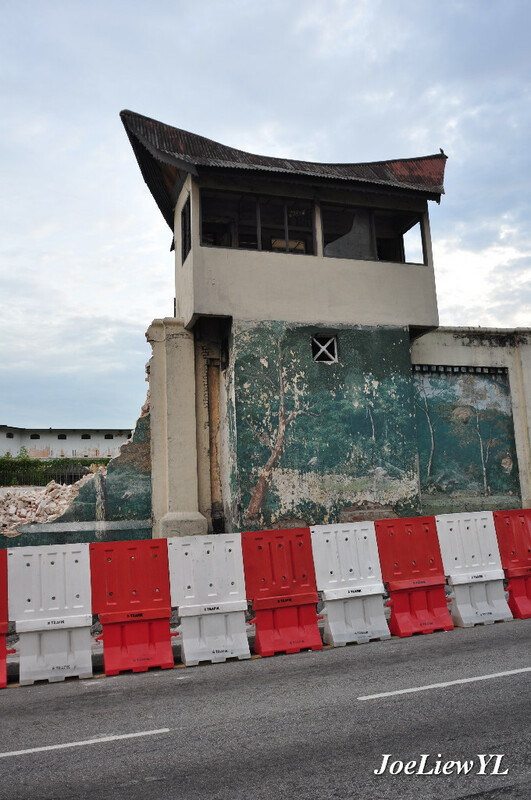 Eight supports of the Hindu Rights Action Force were arrested and incarcerated in Pudu Prison following the 2007 HINDRAF rally. 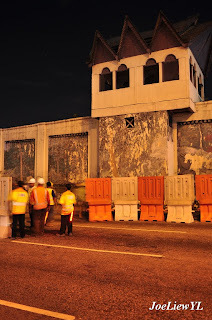 They were later released due to lack of evidence. 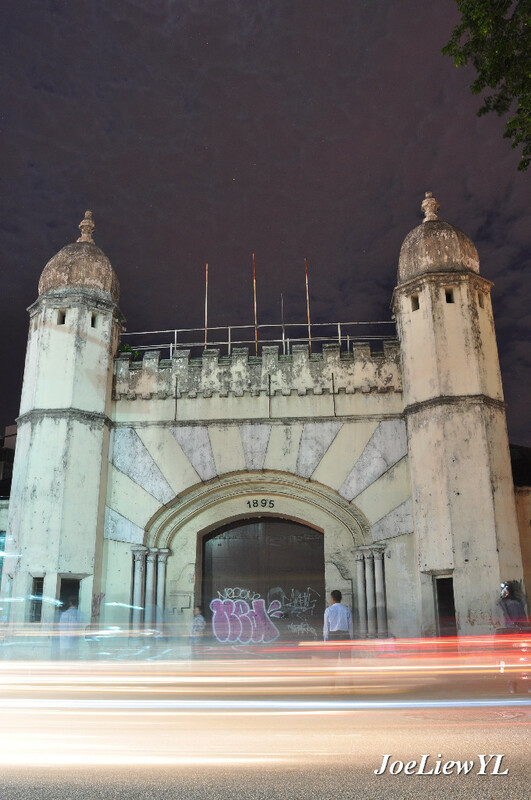 There are rumours that Pudu Prison is haunted. 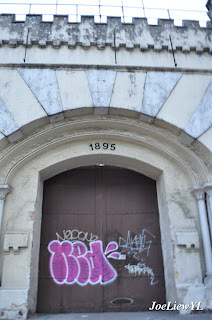 There have been reports of a strange Indian man walking the halls of the prison and disappearing around the corner. 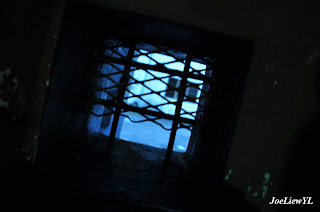 Screams have been heard from rooms where hangings have taken place, and there are certain areas of the prison that are far colder than others. 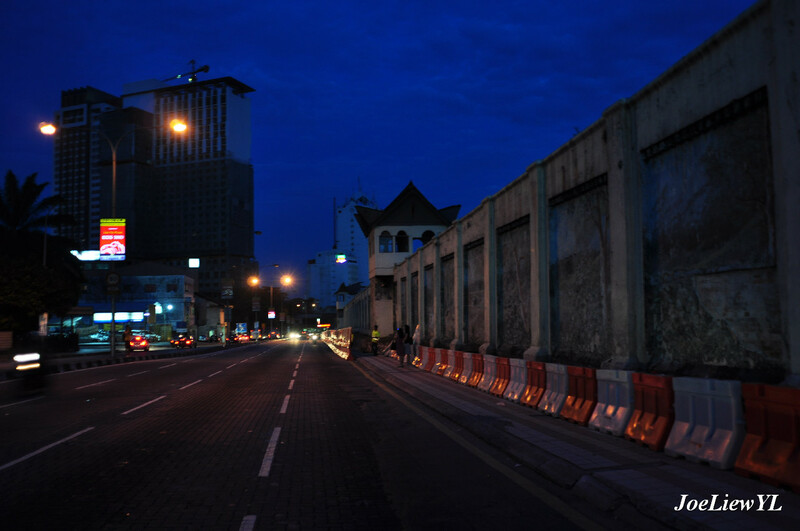 Russell Lee, the author of the book series True Singapore Ghost Stories included a story of a prisoner in Pudu Prison in one of his books. 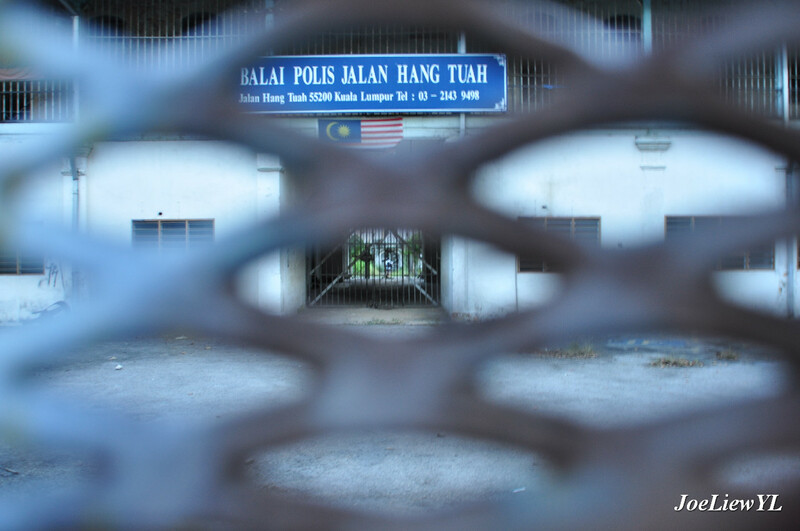 The prisoner reported hearing screaming from the rotan caning area, and he also heard the story that one prisoner committed suicide in order to avoid being caned. Supposedly his ghost stops the last stroke of the cane being given, and the prisoner personally reported this experience happening to him. 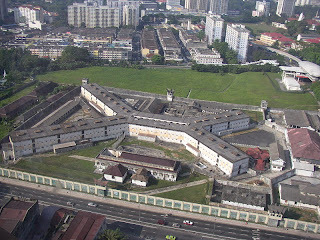 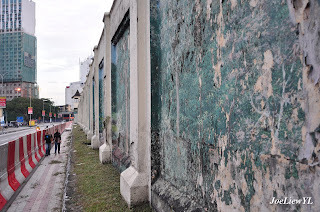 According to several websites, the reason that Pudu Prison is being turned back into a prison for low-security prisoners is because no-one would buy it as for commercial property because of the hauntings.